Hey everyone, hope y’all had a great Fourth! So today I’m sharing some of the pictures Adam and I used as inspiration while designing our new home. 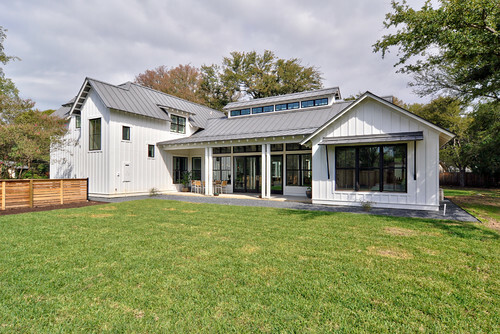 If you’re using pinterst to design a new home or remodel an old one, STOP IT. 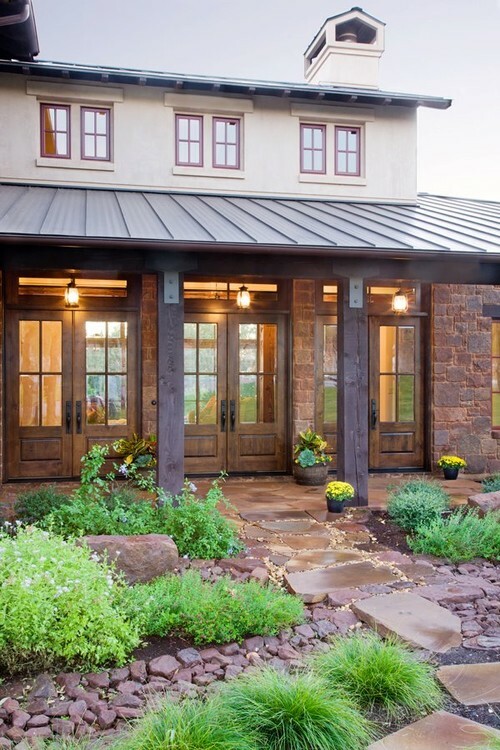 Pinterest has its place of course, but is Houzz is so much better. I will sing Houzz praises till I’m blue in the face, it’s that amazing. 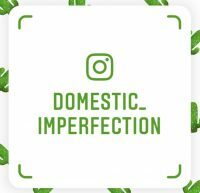 Just like on pinterst you can search through what seems to be unlimited photos and save them to you own boards (called “ideabooks” on Houzz), but instead of having a feed filled with crafts and rounds ups (so. many. 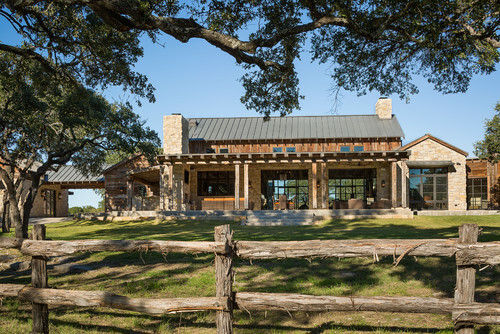 round-ups), it’s simply pictures of really nice houses. For the most part only designers, architects, builders, and professionals can upload photos, so everything you find is quality stuff. The houses are extremely nice, and even if they are way out of your league there are some fantastic ideas to be had. There are also forums and articles that are incredibly helpful. It’s my new favorite website (beside this one, of course!) 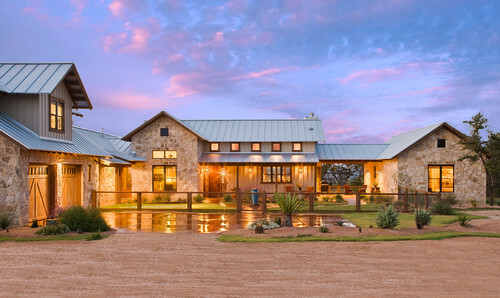 and all my inspiration pics are from Houzz. So when Adam and I first started perusing Houzz for exterior home inspiration we unknowingly kept saving the same pictures to our ideabooks. Obviously we both know what we like and thankfully we have the same taste (can you imagine the fights if we didn’t?). 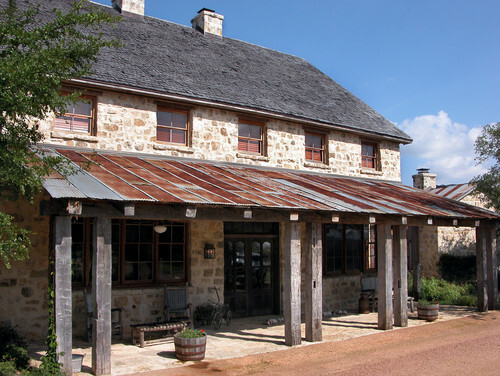 We are calling the style “Modern German Farmhouse with a Texas Hill Country twist”. The primary feature that kept drawing us in? Lots of tiny windows in the second floor. This is my absolute favorite house and ours looks very similar. 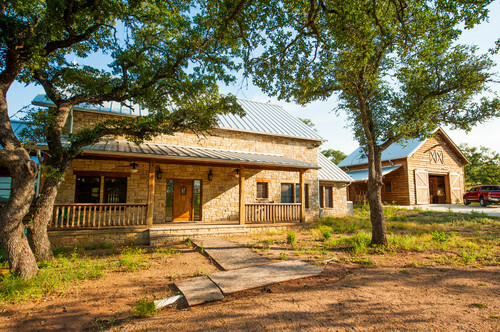 We have will have rock with board and batten, metal roof, breezeway, and the same general design and feel…..and lots of small square windows, of course. Another view, just because I love it so much. (Admittedly, I don’t like the inside of this house nearly as much as the outside). Yeah, they’re like fraternal twins. 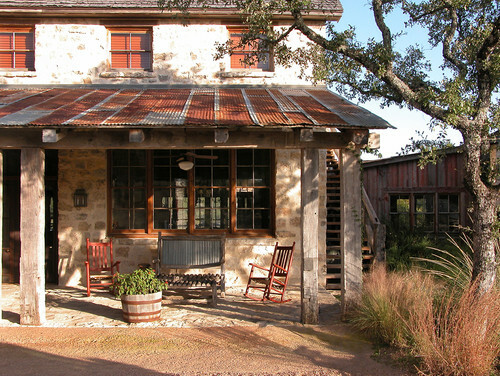 We’re not going quite this rustic, but are doing rock on first and second floor with the “German smear” mortar, small square windows, double wood beams, exposed rafters, and different roofing material on the main house and the porch. 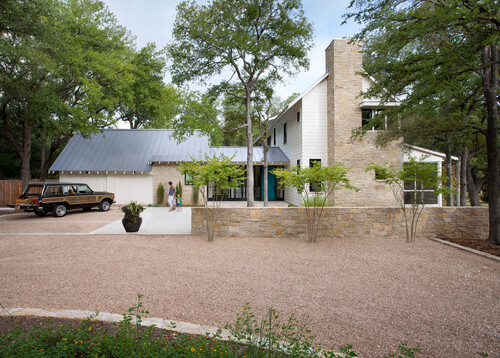 Eclectic Exterior by Austin Architects & Building Designers Vanguard Studio Inc. 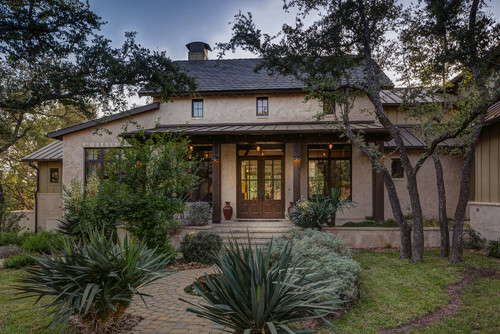 Contemporary Porch by San Antonio Architects & Building Designers Craig McMahon Architects, Inc. 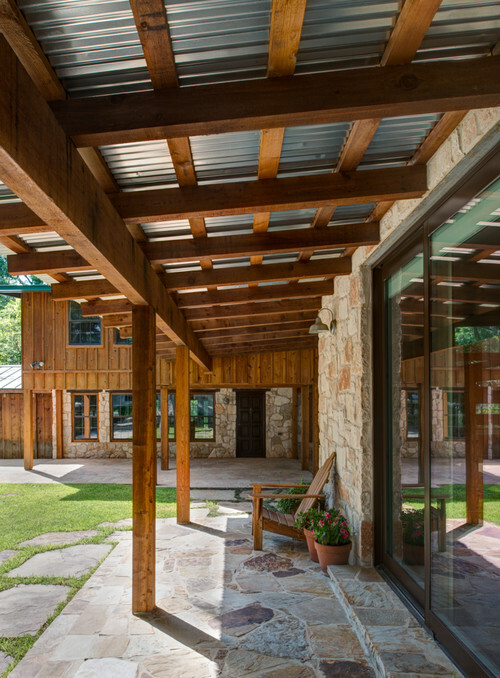 Traditional Patio by New York Architects & Building Designers Architecture in Formation, P.C. That last one is a bit different from the rest, but I just love it. Even with the fence it feels friendly and casual, which is what I’m going for. 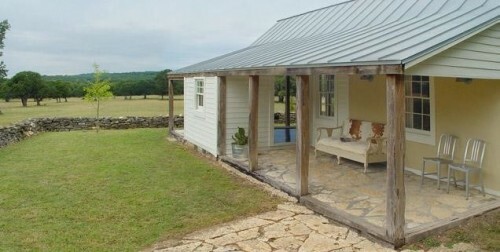 Adam and I obviously love rustic homes, but we also like a slightly more modern twist. 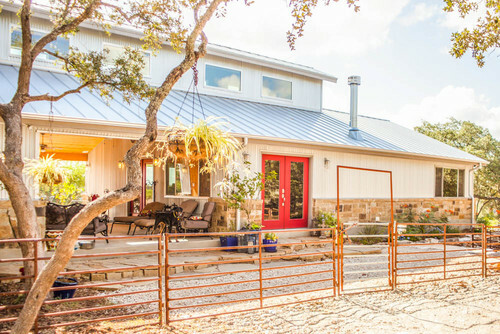 Here are the modern farmhouses that we kept coming back too…. 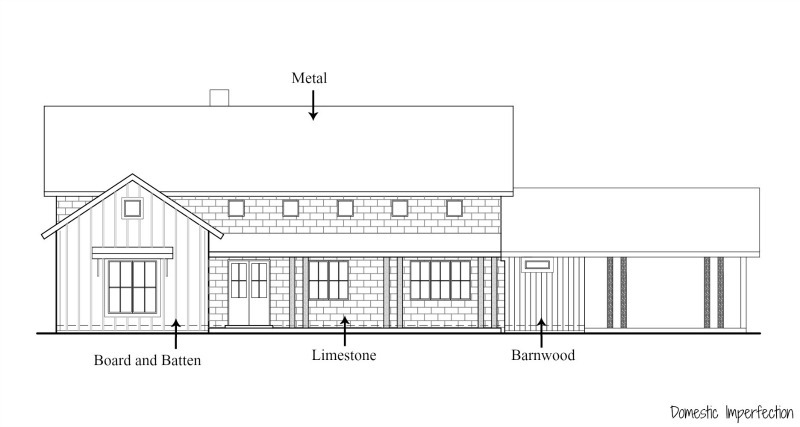 This one has limestone, white siding, a metal roof and a curbed decomposed granite driveway, all of which we plan to use. So that’s our inspiration! I can see it finally coming together in my head and it’s awesome. P.S – Sorry about all the weird periods everywhere, WordPress is acting crazy won’t let me put spaces between lines. It’s the only quick way I could fix the problem. It’s been a long day. 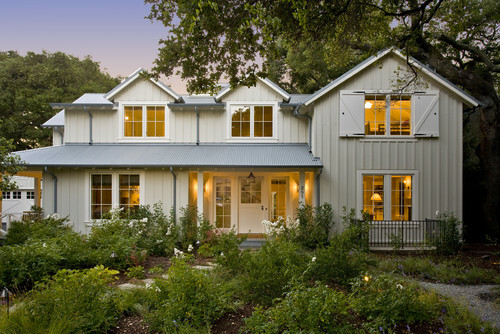 I love the look of the warm stone with the metal roof…those houses just look so inviting and cosy :) I love Houzz too! I get its email newsletter and I haven’t bought an interiors magazine since I signed up! Their newsletter is great too! They have a section that is “things we think you would like”, and I have to say, Houzz has me figured out! I am loving your ‘look’ you are going for. It reminds me of our early Aussie settlers houses. Mind you theirs were made of roughly hewn eucalyptus trees and were probably not all that draft proof! Well now I have to go look up early Aussie houses! I signed up for Houzz awhile ago but haven’t really spent any time perusing.. I will tonight :) I like the idea that everything is actually professional and legitimate, vs. pinterest which can be anything and it’s a crapshoot as to whether the picture will link to any kind of relevant post! I love the limestone! And the exposed rafters. Pinterest IS a crapshoot, I get annoyed at all the broken links. And I get REALLY annoyed when I come across a picture of mine and it leads back to some spammy website that’s stealing my content. 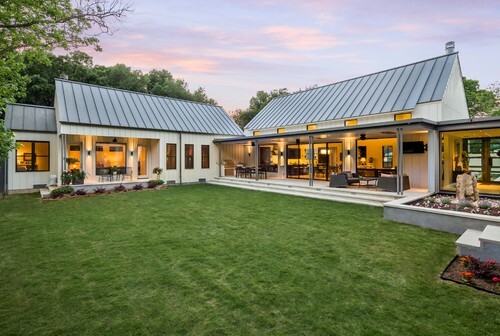 Let me know what you think of Houzz! You know what else is good with metal roofs? Solar panels! Any plans to add some? Or any other green features? That’s more or less how it works in Austin, except that we don’t get a check, we get a credit on our account that we can use in a future month (because any income would be taxable, and the utility doesn’t want to have to keep track of all that). The program has changed a couple times since we got our solar panels in 2011, but it’s always some variation of using the grid as a battery (you can get your own battery, but they’re expensive, and Austin Energy requires you to be tied into the grid to get the rebates, which were pretty substantial back then). Now that the cost of solar panels has come down a lot (as has the cost of batteries, I’m sure), the rebates are smaller, but they still help. Anyway, I haven’t priced panels in a while, but I’m thinking it’s longer than 2-3 years (maybe 5-6? ), but of course it depends on how many kW you get versus how much your house needs, and the price the utility is paying. Austin Energy’s current program buys back all of our production at a fairly high price (I don’t remember, but let’s say 11 cents/kWh) and then sells us whatever we use at a lower price (say 8 cents/kWh), so even if we use a little more than we generate in a given month, we still break even or maybe get a little back. Some months we do owe, especially when it’s really hot but not very sunny, but it’s a pretty good deal all around — I bet we haven’t spent $300 on electricity since 2012, and that includes heating since our HVAC is geothermal. I can’t wait to see your house start to take shape. 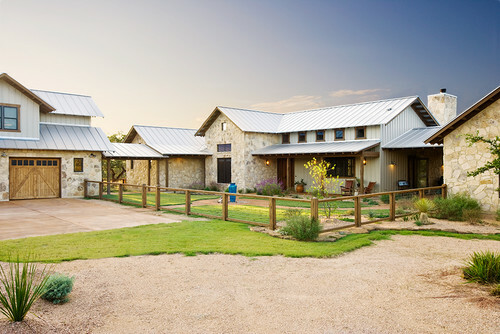 Building a custom house that’s totally perfect for your family is incredibly exciting! 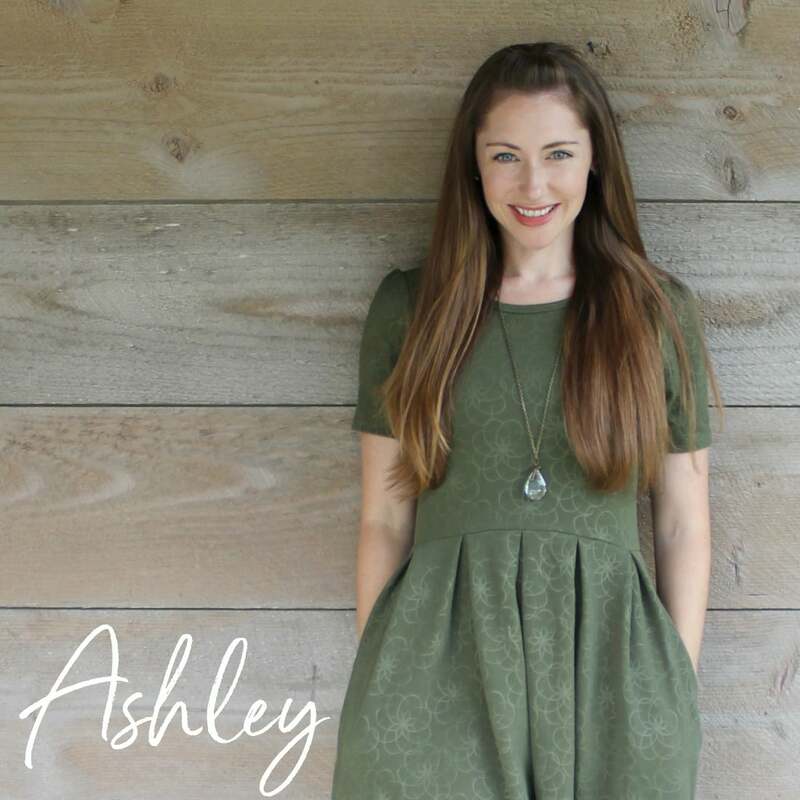 Hey Ashley, finally getting around to reading my email and all caught up on your blog! I am so happy for you and your family! Congrats on the new addition, he’s a cutie! And I love your plans for your new home! 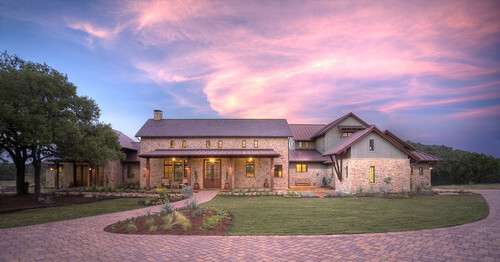 The property is gorgeous! I often dream of a home in the woods with as many glass exterior walls or windows and skylights as possible to feel like I live in a treehouse! It is great to have your family and friends nearby also! Enjoy! Such beautiful homes! I can’t wait to see yours come together! I really adore a few of those! The style is new to me, but I like it. It kind of makes me reconsider my anti new home stance and realise that new doesn’t have to be cookie cutter at all, and it just happens that the only new builds I probably notice are the kind that I am not into. Very nice details and overall look! I can’t wait to see the progress on your home. Some beautiful inspiration photos here! I’m excited to see it all come together. I have always loved your posts and the funny way you tell stories. Your style is very similar to mine and you have given me so many wonderful ideas for when we start to build our home. Ours will be much smaller, but we still want it to be nice and feel grand but cozy.